1. 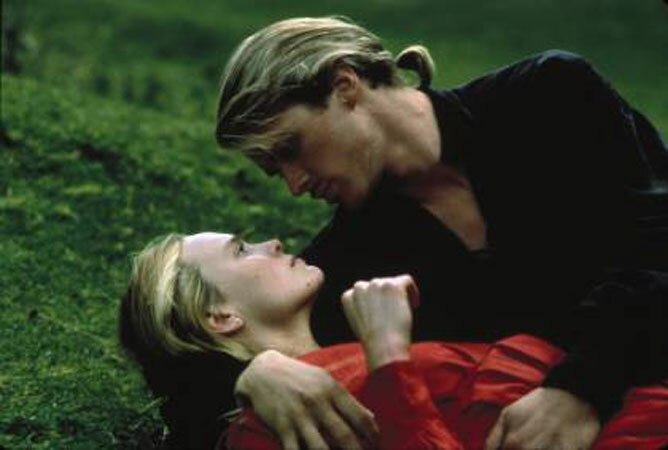 Princess Bride - "As you wish"
2. Star Wars - "I am your father"
3. Indiana Jones - "He has chosen . . . poorly"
4. Napoleon Dynamite - Tots - need I say more? 5. Cold Comfort Farm (BBC) - "Oh Charles, you do have heavenly teeth"
6. Lord of the Rings - "What about second breakfasties?" 7. Harry Potter - "Scared Potter?" "You wish!" 8. Emma (Gwenyth Paltrow version) - "When pressed, I say she is elegant"
9. The Incredibles - "Lame, lame, lame!" 10. Toy Story 2 - "Are you shrink-wrapped?"